Nina Armando - Sydney based women's shoe and fashion house. 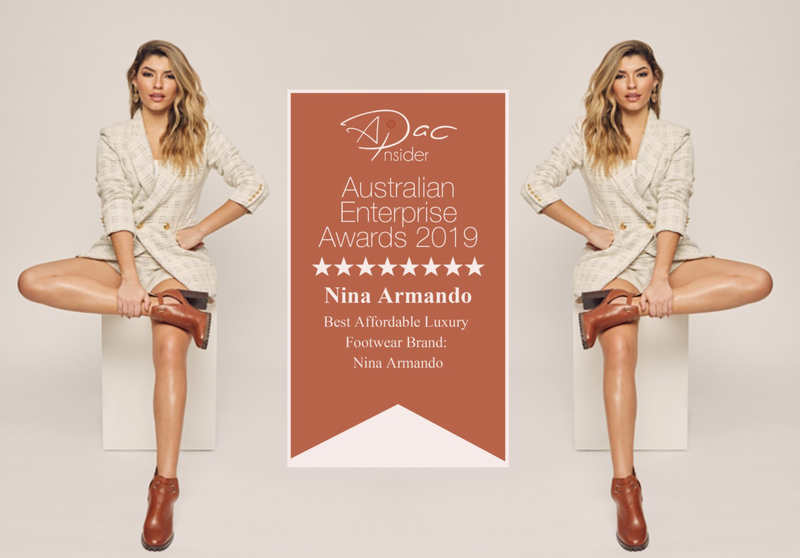 When it comes to high fashion and the best quality in women’s shoes in Sydney, there is no match for Nina Armando. On our site are some of the highest quality and creatively designed women’s shoes. Today, our brand is gaining in popularity and our hand-crafted stylish ladies footwear & fashion accessories are being purchased by customers that value style and quality. All the women’s shoes that we have are designed with care and exquisitely crafted. You will find contemporary and classic designs of shoes that complement your personal style to perfection. When you opt for Nina Armando designer footwear, you know that there will never be any compromise on the quality of the materials or craftsmanship. You can create the unique look you want by accessorising your designer clothes with our women’s shoes in Australia that speak elegance and high fashion. In addition to having the best materials and designs, you will also find that our shoes are comfortable and can be used for evening as well as daytime wear. You will find designs made of soft leathers, patent leather as well as satin materials and there really is no better way to pamper your feet. We know how much our customers value high-quality footwear and so we focus on adding to our range of excellent products. Every time you visit our online store, you are sure to find new styles to complement new outfits. We top up our range twice a year and keep adding to our superb high-winter and high-summer collections. The styles are all crafted around the European calendar which ensures you have the latest materials, styles, colours and designs. In addition to the different leathers we use in our designer shoes, we have a range of collections to choose from, such as ladies evening, smart casual and casual footwear and have a stunning line of corporate footwear products too. In short, if you have a footwear need, we have just the product for you. When it comes to shoes, why settle for anything but the best? Come browse around our user-friendly website for the exact kind of shoes to match all those beautiful clothes you have. Creativity, high-quality, styling and excellent craftsmanship- our shoes have it all. When you are shopping for women’s shoes online, look no further than Nina Armando. We are a niche footwear company that is passionate about footwear and style. For additional information, call us on + 61 2 9232 3232 or use this online form to contact us.